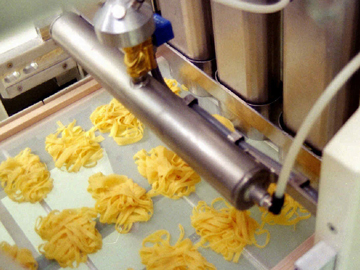 We design and manufacture industrial lines for production of non-stuffed pasta, both dry and fresh. 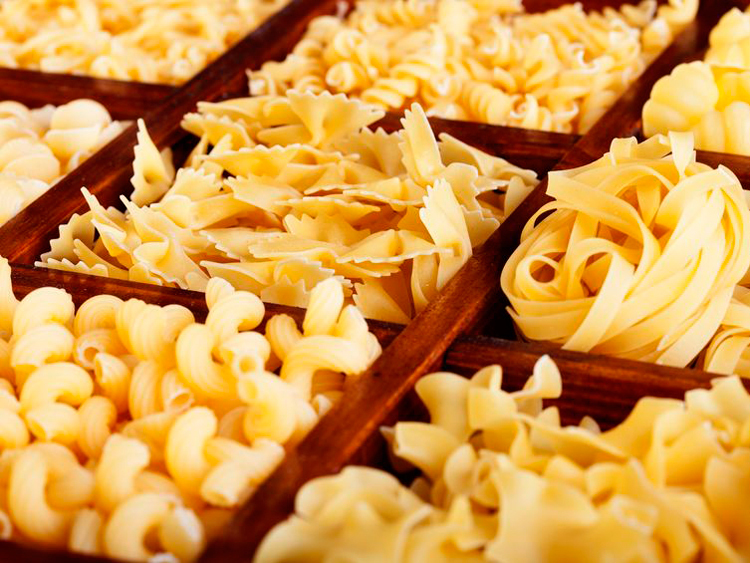 Extruded (spaghetti, fusilli, macaroni, etc.). 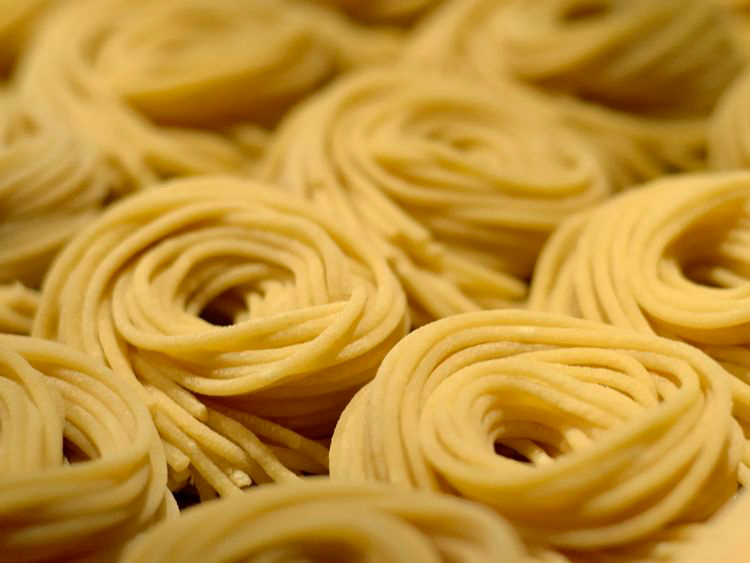 Laminated (tagliatelle, pappardelle, tagliolini, etc.). 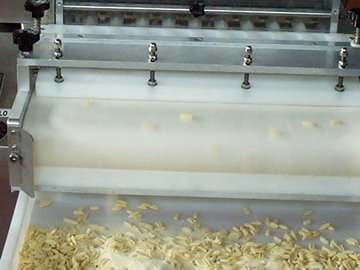 Formed on a conveyor belt (trofie, cavatelli, olive leaves etc.). 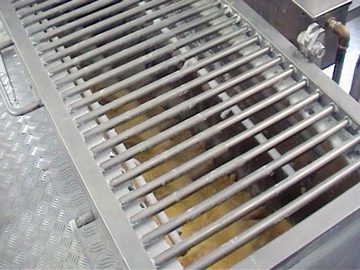 The dough preparation may be done continuously or in semi-automatic mode. In the first case the ingredients are dosed and mixed automatically in a centrifuge, according to pre-programmed recipes. 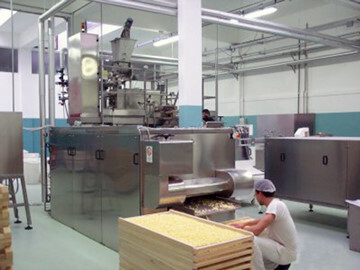 In semi-automatic batch mixers instead, the ingredients are dosed manually; the dough is prepared in a secondary mixer and is transferred to the next machine only when it is ready. 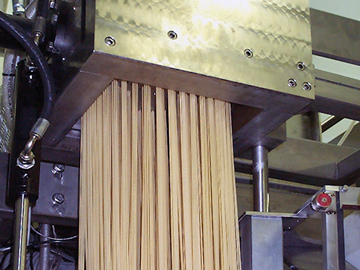 The extrusion takes place by means of a press and allows the production of short and long pasta of various sizes, using bronze dies. The process allows to produce special formats like trofie, cavatelli, olive leaves, etc ... that are traditionally made by hand. 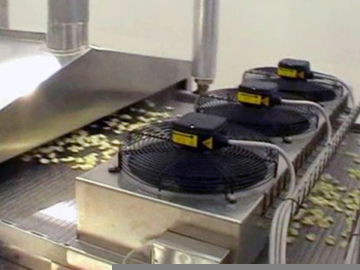 The drying process gradually reduces the humidity of pasta using drying cabinets, to produce dry pasta. 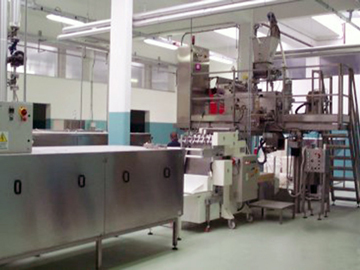 The process can be automated by means of complementary machines such as pre-drying shakers, automatic frames feeders, and nesting machines. La pasta viene trasportata tramite convogliatori a nastro attraverso un tunnel di pastorizzazione e quindi attraverso un tunnel di raffreddamento. 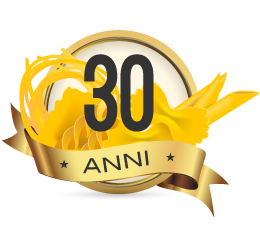 Tutto il processo può essere automatico e continuo senza contatti con gli operatori. After treatment, the product can be packaged in bags or trays.